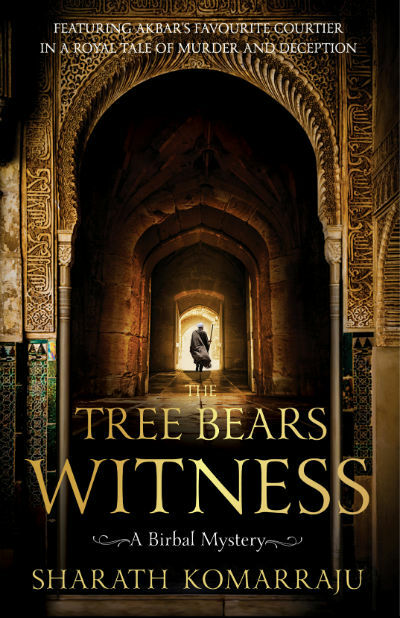 Recently I got a chance to read The Tree Bears Witness: A Birbal Mystery by Sharath Komarraju. Sharath is known for bringing tales from the Mahabharata and present them in his unique style. He, however, writes many other stuff as well. This book is an interesting fictional tale where we get a chance to explore Akbar and Birbal. 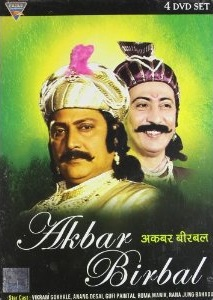 The witty tales of Akbar and Birbal have entertained many generations and will continue doing so, without a doubt. The first thing that caught our attention (by this book) is, it belongs to Akbar-Birbal tales. We got a chance to buy it from Amazon when a book promotion was running, so we found it worth the price :). From our team, I got a chance to read it first and thus publishing this unbiased book review, and I am happy about that :). Before talking more about the book, let us take a look at the cover page of the same. Whatever we say philosophically, no one can deny the fact that the book cover creates a long lasting impression about the same in our mind. And, our purchase decisions are often get influenced by the same. The cover page of the book is really attractive. The heavy use of black color adds to the mysterious setup and the walls and other stuff creates an impression of the royal palace. A person you can see from the distance in quite an unclear way reflects the tragic incident on which the book is based. So, overall, it is an impressive book cover. Let us take a bird’s eye view of the plot. Two guards were stationed at the gate inside the palace. It is actually an internal place and the residences of the emperor, his various wives, and precious guests. 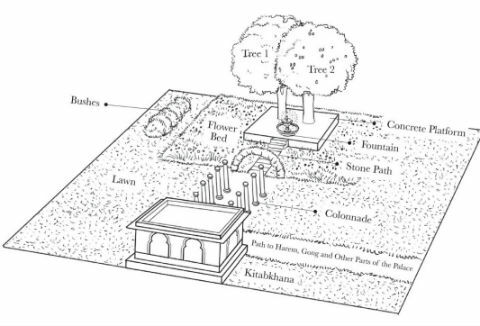 There is a garden along with, surrounded by compound walls. One of the guards was aged and experienced (of having the duty inside the core area of the palace) one while the other one was young and was stationed there for the first time. While they were on the duty, a person with a persona of a royal pass through them to the palace. From the conversation between the guards, we come to know that he was prince Sujjamal, the brother of Hira Kunwari, the newest queen of the emperor. Then happens a tragic incident. The see Sujjamal was attacked and met with his death. But, they don’t see anyone attacking him! It is a murder within the palace, in the royal garden, under a couple of trees, in front of two guards. And, still, it is mysterious. The murder mystery needs to be uncovered at the earliest, as Sujjamal was no ordinary person. And, anything not happening up-to-the-mark in this investigation may impact highly upon the emperor’s relations with the entire Rajput clan. The trust-ability is at the stake. So, Birbal was called in. And, it is expected from him that the mystery will soon be resolved. By knowing Birbal we understood that he will be able to solve the mystery anyway. But, how? And, who is the murderer? These questions are better to get answered by reading the book. The book is a good mystery which at places you may find stretched but never get bored of. The mystery involves a large number of characters but the main on which you should keep a watch includes Akbar, Birbal, Azgher Abbasi, Rashid, Man Singh, Bhagwant Das, Sujjamal, Gulbadan Begum, Mirza Hakim, Nazneen, Raja Bharmal, Hira Kunwari to name a few. If you mix up them while reading with each other, probably you will not enjoy it properly. It is tough to write a mystery where a number of characters are involved and especially linked with each other. The author did a good job here. The reader who has read/heard Akbar-Birbal tales are mostly used-to explore the short-stories. So, the length of the story can be found good by some and a downside factor by the others. The mystery could have been edited a little more crisply. In the world of kings, if you find a man sharp of mind, keep him as close to you as you can, and give him a weapon that he can wield for you in battle. It does not matter how much blood he has on his hands, as long as that blood is not yours. Sometimes we do not know the significance of what we know. It might just be that what you think of as a commonplace detail is in truth a dark, important one. A man who is impossible to bribe, Mahesh Das, is a man that can be scared. His tongue is sharp, as you have seen today, and they say that the blade of his sword is not too blunt either. Rajput women do not abandon their husbands no matter how grave the grievance. Some dead people make the most charming companions. Way better than the living. We – Rashid and I – think we saw, but we saw only what the murderer wanted us to see. Only the tree must have seen all. Dear Birbal. One day we shall get your married, and we shall see if you still speak these words of trust and honesty. We have married young and often, my dear man. Love has nothing to do with honesty or trust. Sometimes you could be forced into lying without your knowledge. Sometimes too much information is useless. It was a lesson of experience that when someone was trying to remember something, the worst thing one could do was to leap up at him and demand what it was. One stayed quiet and hoped the memory would come in its own time. A woman’s heart ought to be won over with patience, not snatched by force. I’ve also found the conversation between Birbal and Hakim about the corpse quite interesting. It has the fun which will remind you of James Bond movies :). Do your best to forget it. We would that you keep your mind as it is, unsullied by our words. The author gives each character the proper time to explore their attributes and some of them keep shocking you at intervals. The way the author weaved the components together is something worth going for. Also, the author is good at explaining the scenes. Overall, I’ve enjoyed reading it. Overall a nice murder mystery which makes the reader nostalgic at times, a little lengthy though. Around 7.5 stars out of 10. If you already have read the book do share your remarks and thoughts via comments below. Does this review help you in making your decision to buy or read the book? Do not forget to share this article with your friends over various social networks via Twitter, Facebook, Google Plus and others. And yes, you may like to subscribe to our RSS feeds and follow us on various Social networks to get latest updates for the site to land right in your mail box. World Book Day 2019 Offer By Audible | Get Upto 10 AudioBooks Free!